One of my favourite novels is Cao Xuequin and Gao E’s Dream of Red Mansions, which has nothing we would recognise as a plot by modern standards: it follows the “twelve beauties of Jinling”, the main characters of a decaying household in China under the Qing dynasty; and juxtaposes and contrasts their experiences to achieve a powerful and moving tapestry of narratives that speak both to the female and human experience. Today, Gollancz revealed the cover art for the UK edition of Bradley P. Beaulieu’s Twelve Kings, the first volume of the Songs of the Shattered Sands trilogy. I had a chance to read some early drafts of the novel, and readers are in for a treat. I also had the opportunity to see a few early sketches of this cover, and it’s fun to see Gollancz take a lot of the early feedback and create a cover with a lot of impact. I’m particularly impressed by the way they’ve focused on Ceda, the novel’s protagonist, making her identifiably badass and female (without over-sexualizing her, or falling back on the usual cover tropes applied to female characters.) It’s a nice compliment to the US cover. 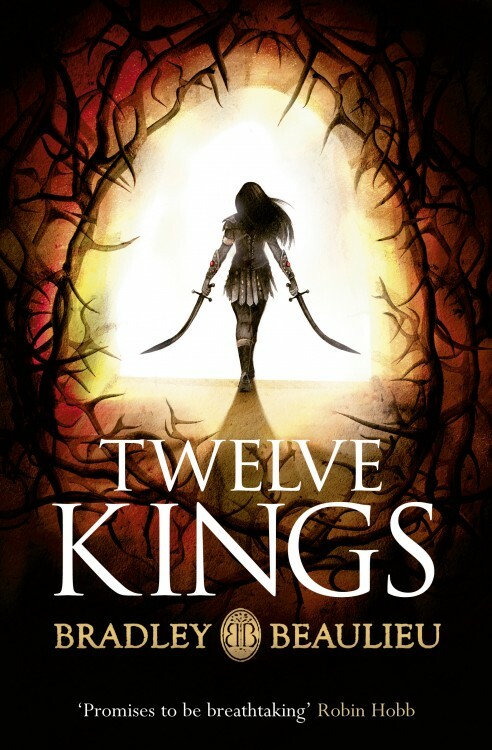 Note, the title of the novel in the UK is Twelve Kings, versus the US title, Twelve Kings in Sharakhai. They both have their strengths, but I think I prefer the US version. There’s something about made-up fantasy names that resonates with the 16 year old in me. Gollancz revealed the cover art for one of my most anticipated novels today, Aliette de Bodard’s The House of Shattered Wings—a post-apocalyptic tale about warring houses and fallen angels. I love, love, love it. Holy moly. I’ll be honest and say that I don’t generally expect great things from Roc Books covers. But this? This is just gorgeous. Eloquent and impactful, great little details all around. 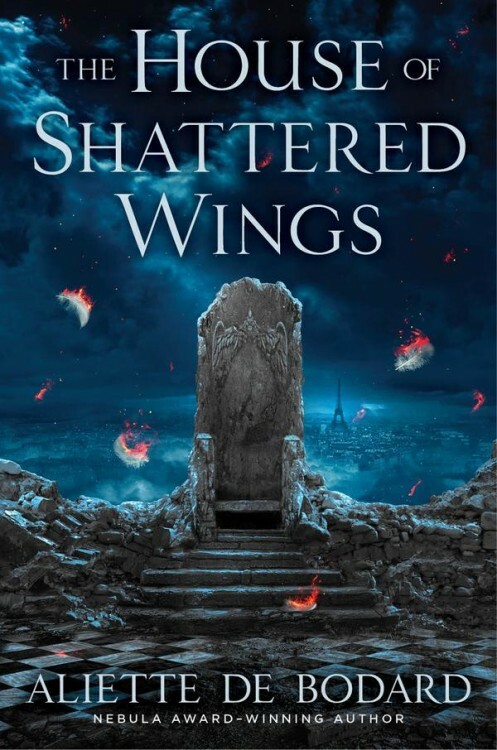 The House of Shattered Wings is one of my most anticipated novels of the year, and I’m glad to see it has a cover to match my excitement. In the late Twentieth Century, the streets of Paris are lined with haunted ruins. 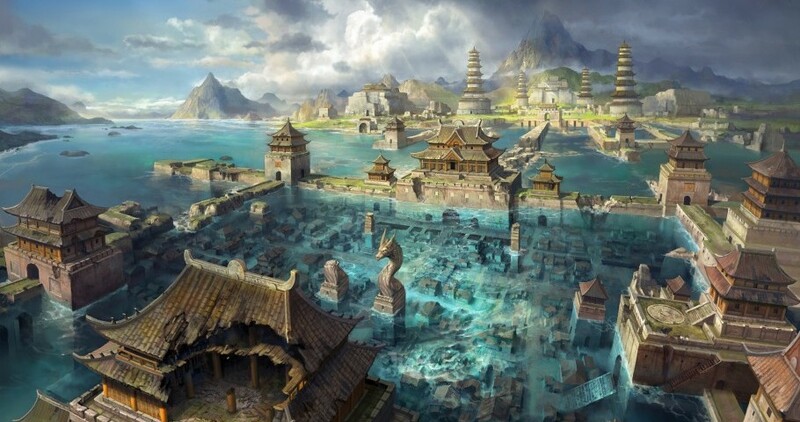 The Great Magicians’ War left a trail of devastation in its wake. The Grand Magasins have been reduced to piles of debris, Notre-Dame is a burnt-out shell, and the Seine has turned black with ashes and rubble and the remnants of the spells that tore the city apart. But those that survived still retain their irrepressible appetite for novelty and distraction, and The Great Houses still vie for dominion over France’s once grand capital. Once the most powerful and formidable, House Silverspires now lies in disarray. Its magic is ailing; its founder, Morningstar, has been missing for decades; and now something from the shadows stalks its people inside their very own walls. Within the House, three very different people must come together: a naive but powerful Fallen angel; an alchemist with a self-destructive addiction; and a resentful young man wielding spells of unknown origin. They may be Silverspires’ salvation—or the architects of its last, irreversible fall. And if Silverspires falls, so may the city itself. 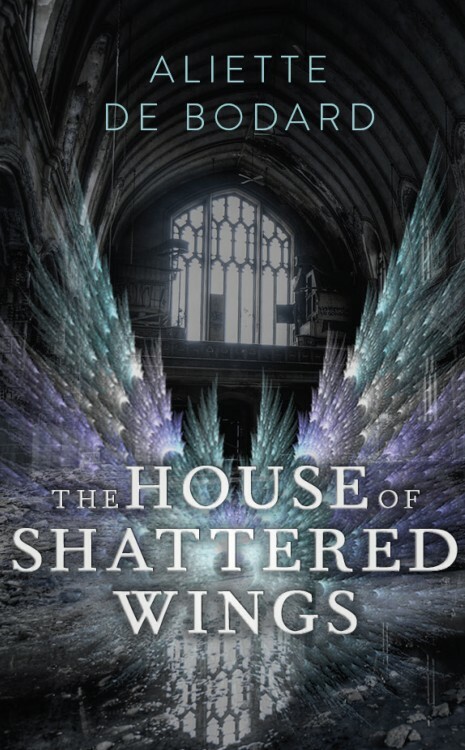 The House of Shattered Wings, the first volume in a duology, is due out on September 1st, 2015 from Roc Books (North America) and Gollancz (UK). 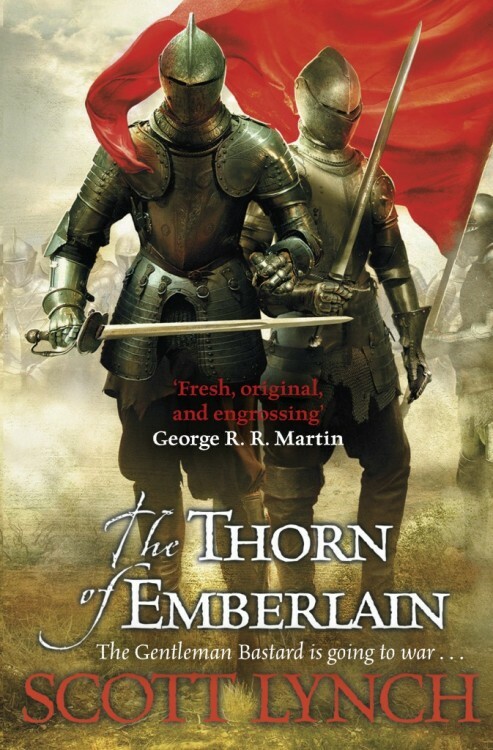 “We’re looking to publish The Thorn of Emberlain before the end of 2015,” revealed the Gollancz blog. Lynch’s release dates are notoriously slippery, but this is encouraging news. The cover art is by London-based Uruguayan artist Alejandro Colucci.